Specialising in the development of large-scale infrastructure, Khato Civils has established itself as one of the leading black emerging construction companies within the South African market, thanks to a team of qualified professionals with broad experience in areas of earthworks, pipelines, waterworks, roads and concrete works. Since being bought by the Malawi-born chairperson, Simbi Phiri in 2010, the company has been running at full steam for almost seven years. Khato Civils has also made a significant investment towards building a strong equipment backbone, emphasising growing the company’s fleet and heavy plant equipment. The heavy plant equipment includes special purpose equipment such as excavators, TLBs, tipper trucks and flatbed trucks. Khato Civils wholly owns all of this equipment and their new head office, based in Kosmosdal, Centurion boasts a workshop and warehouse, allowing them to service equipment and procure materials in bulk—a crucial part of their operating strategy. “We don’t believe in hiring equipment as breakdowns will inevitably result in delays. By having our own mechanics and workshop, where all our equipment comes for maintenance, we are also able to uphold our standards and timelines,” says Mongezi Mnyani, Group CEO of Khato Holdings. The workshop also includes a mobile team that is always ready to provide support at any given time to the company’s different teams located at various sites. “We are also confident that we are able to undertake any project and execute that job in time. We think it’s important, where possible, to speed up projects, and we set ourselves very specific targets in order to save costs. There is a general belief in this industry that if you prolong a project, you make more money, but that is simply not true. By taking that approach, not only are you compromising your client but for us—where we do a lot of work for the government—it’s also the taxpayers who are negatively impacted by the delay,” he says. “So far I think we have done very well in that regard to make sure we deliver on both speed and quality. We’re not just doing it for ourselves because, ultimately, we are also taxpayers, so it’s important that we’re just as invested in quality. We are South Africans too, so our standards must be high,” Mnyani adds. Working primarily in the water and infrastructure space, Khato Civils has a number of ongoing projects. Together with South Zambezi and LTE Consulting, Khato Civils was appointed by Lepelle Northern Water on an engineering, procurement and construction (EPC) basis for the Mopani District Municipality Water and Sanitation Revitalisation Programme. This project is intended to address the short-term water and sanitation challenges in the Greater Giyani Local Municipality, as well as provide medium- and long-term solutions to the water and sanitation challenges within the Mopani District Municipality. The first phase of the Giyani project involved the revitalisation of existing services in and around the greater Giyani area through the repair of all leaking bulk pipelines and replacing all faulty valves. An estimated 345 kilometres of bulk pipelines have been laid, as well as an overhaul of existing pump stations and sewer pump stations on the pipeline. “Giyani is one of the biggest water projects we’ve been tasked with. Our primary goal was to replace the old infrastructure, old infrastructure that had collapsed—causing water flow problems and affecting local people in terms of both the water quality and sanitation problems. The project is now 93% complete and we hope to finish in June,” says Mnyani. “We are very proud of this project—where other companies have failed to complete the job, we have managed to stay there full time and employ local people. Everyone knows us there and we are one of the biggest employers, aside from the municipality. Our hope is always to leave a legacy, a challenge with this project as there were a lot of controversies, including the costs of work and the failure of previous companies. These communities have suffered as a result of having no access to water and sanitation, making it even more important to produce good quality work,” he explains. Further afield, Khato Civils, in conjunction with South Zambezi, was recently appointed to undertake one of Malawi’s mega water supply projects—the Lake Malawi Water Supply Project. This project will pump and deliver 50 million litres of potable water from Lake Malawi to Lilongwe City every day, putting a complete halt to the many issues that have affected the lifestyle and livelihoods of the city’s two million residents. Valued at about US$500 million, this project is billed as Africa’s largest water transfer project under construction and is expected to be completed by 2019. “We started with the planning phase last year, working with South Zambezi. The Lilongwe Water Board and the government are now in the final stages of planning, and we hope to get started in March/ April this year—the project deadline is set for 18 months. We are again applying the same philosophy, starting off with 30 staff members with the aim to employ more Malawians once construction gets underway. We will upskill them and also provide a lot of support to local business with respect to materials,” he says. The Johannesburg Roads Agency (JRA) has also awarded Khato Civils a contract to repair and upgrade both carriageways of one of the city’s biggest double-decker bridges, located between Carr Street and the Crown Interchange on the M1 motorway in Johannesburg. According to Mnyani, there have been problems with maintenance in the past and Khato Civils will be working closely with the JRA to restore this bridge. Construction will be starting soon and is expected to last for the next 16 months. Preparing to expand further into Africa, Khato Civils is currently working in Botswana after having been awarded a tender to upgrade two pump stations—the project is expected to start in the next three weeks. “We have also been looking at Ghana as a potential area of growth and we have been talking to the various ministries involved with water, roads and sanitation because we know that they also have a number of challenges with infrastructure in these areas. I believe we have to look at the continent for new opportunities and we hope to see ourselves setting up new offices in Malawi, Zimbabwe, Botswana, Ghana and perhaps even Uganda. In the next three to five years, we hope to see 80% of our business come from the rest of the continent and in order to succeed, we will be very strategic when choosing which projects to take on,” says Mnyani. “We must contribute to the development of the continent but when you look at what’s going on there already, we must ask why African companies are not dominating in that space. I think it’s up to us to prove that an SA-based company is equally capable of undertaking these projects,” he adds. Ensuring that construction takes place and that projects are completed on time and within budget, procurement plays a vital role in Kato Civils success. Supporting the operations of the organisation, Procurement Director, Ncumisa Mnyani ensures that delivery is on time by vetting suppliers in advance and making sure they use credible service providers. “There’s nothing worse than people sitting on site with no materials to work with. When it comes to procurement, you need to be alert of all jobs coming, especially with regards to the key items of the project and their lead times. You need to understand who the suppliers, distributors or manufacturers are and understand the quantities you are buying. You also need to have the clout to deal with the manufacturers directly. With all the research that needs to take place, you don’t wait for requisition forms to come in. In the case of the Malawi project, you would also have to understand the possible price fluctuations and make sure that, ultimately, you are paying the right price,” she says. Khato Civils’ procurement strategy depends mostly on what it is they need to buy. Mnyani looks at what can be purchased in bulk or services they may require for extended periods of time. “Sometimes you can negotiate to pay only for what you consume and with smaller items, you work with distributors to get into contracts or open accounts to ensure a supply on a continuous basis. Wherever we operate, we also speak to the councillors of various municipalities and local business forums to assess the climate. We look at the businesses that are there and try to help them run better. We educate them on things like tax clearance certificates, where we insist on suppliers having one, and we empower them with certain skills so that instead of shipping materials in, we are able to support the community and contribute to the local economic development,” Mnyani says. However, despite diligently sourcing all the necessary documentation, building stable relationships with suppliers and doing all the background research, Mnyani says they do still come across challenges, especially delays in the delivery of service and suppliers who have over-committed themselves. “You can’t know in advance that these things are going to happen unless you physically go and inspect to check that your materials are there. And even when you do go there to inspect a sample, while you want to trust the sample, you have to keep checking that the actual product maintains that same level of quality you were promised when you inspected it the first time,” she explains. While Khato Civils does its utmost to support local communities, it is still a sore point when community members see trucks come from outside their area. According to Mnyani, it is also essential to prevent buyers from being influenced by suppliers, especially when it comes to kickbacks. For this reason, there is a constant rotation of buyers, which prevents people from becoming too comfortable and avoiding any corruption. Where appropriate, Mnyani’s department also ensures that resources that can be shared are distributed, avoiding the unnecessary accumulation of one particular resource. “You must be aware of your inventory at all times. Sometimes materials have a limited lifespan, or there is a special way in which to store them. For that, we need to look at the construction schedule. It’s almost like buying a car; it’s not just about that first day you drive it but also the maintenance involved. We must also make sure that these materials translate into money and that means keeping an eye on wastage,” she says. In order to succeed in a career in procurement, Mnyani believes it’s important to always be proactive, checking on what is being ordered and knowing enough about the business to know when something is missing. “You have to understand the entire company. You also need to understand the bigger picture, as well as all of the nitty-gritty details of the project at hand,” she explains. A true testament to teamwork, Mnyani often finds herself working in tandem with the Finance Director, Pride Phiri, as they strive to find a balance between the cash flow and managing resources efficiently. “We always need to be cognizant of the fact that the finance department often has the most limited resource—money—so, when it comes to negotiating, everyone wants to pay as little as possible. Together, we look at the order and I ask him about the budget needs, and I use this to guide me regarding placing orders and making deals. I don’t want the financials of the company to look worse because we have too many assets. Therefore, it is important that we have that relationship, especially in terms of prioritising payments. On the other hand, I also understand what is critical for contractors on site, and I then advise finance on how to allocate resources appropriately. Pride also consults with me to ensure our cash flow is always favourable and healthy. We work very well together, we understand each other and we make a good team because together, we understand the bigger picture,” she says. As Financial Director, Phiri’s primary role is effective financial management, particularly cash flow control, a task, he says, that can be quite challenging at times. “One of the main challenges for us is non-payment for the work that has been done. Because we focus on large-scale infrastructure projects, our clients are often metros and other government entities. They do take quite long to pay, which is a problem when we have already made certain commitments to our suppliers. That is a major challenge but some of these metros are starting to improve. However, waiting for six to seven months for payment while incurring supplier costs, payroll costs etc., can put a lot of strain on a business and it’s very difficult for companies to take on the government or go to court because of the Procurement Act, but we often find ways to successfully mitigate these challenges,” he says. In order to ensure that finances are adequately managed, each project has its own budget or contract. When money is received from a project, Phiri ensures that the needs of that project are met—including labour costs, materials and consumables. “Once these payments are settled, we then continue to run until the next payment, and we continue the process. We do also have an integrated system with procurement so that once materials have been received on site, they are entered into the system and we release payments,” he explains. Phiri believes that the successful management of Khato Civils’ finances is also as a result of the Executive Chairman and CEO’s deep understanding of how to run a business. Both see the importance of proper cash flow management to ensure that each project is successful. “They understand that financial resources must be kept to the project they are allocated to and neither the executives nor top management are ever tempted to dip into those resources to pay for other things,” he says. Phiri works very closely with the procurement, financial planning and commercial departments to ensure that projects go ahead smoothly and that there are no material or labour issues. “I get involved in all departments in the organisation and as we grow, I am the first to offer advice. I look at where we want to grow, be it other markets or continents, and before we go there, I also need to look at the commercial viability of that market or client. Can they pay, or do they have a bad history? Are they committed? I also need to check on potential new countries and I look at political risks. How do we mitigate them? Are we obliged to fulfil local commitments? What are their laws? Additionally, I make sure that we are compliant in terms of all the legal business requirements,” he says. Another aspect of growth that Phiri has already identified is the company’s ability to manufacture their own materials. “Mostly, we buy a lot of materials from other companies but now we have started to manufacture certain things, like concrete products, instead of getting concrete from other companies. This is another potential growth strategy for us and it allows us to control the time of delivery and, therefore, also the costs involved,” he explains. According to Phiri, prudent financial management is the key to ensuring that Khato Civils will prevail through difficult times. Their success also comes down to the fact that they own their own equipment. “In construction, you need to emphasise concepts such as prudence. This means managing risk from the site and by this I mean the risk of time—because if you start late, you won’t achieve your daily targets and, ultimately, your monthly targets, and this affects your invoicing. Then, material management is also prudent. If you don’t control the procurement, receiving and issuing of materials on site, you can lose control of the project. This, in turn, affects your margins and the margins in construction are very small. Allowing these mistakes to happen would make it difficult to sustain yourself as a business. Mongezi Mnyani says Khato Civils looks after its employees, noting that the company has a high retention rate. “This is what we are all about. With a total of 3 000 people working for us across all sites, we believe that we have to invest in our staff to get the best out of them. Most of our staff members are full-time employees, rather than having them linked to specific contracts or projects. I think what also sets us apart is how we respect the communities we operate in. We interact with the local councillors, mayors and even the traditional leaders. We make sure that it’s not just us working in that space, we employ local people and empower them. This makes it better for us, leading to fewer disruptions on site, and the people who prove their skills are absorbed into the company, ensuring we uplift these communities to a certain level,” says Mnyani. As the owner and chairperson of the company, Phiri’s philosophy has made a lasting impact on the people who work there. “While he’s been in business his entire life, he has never worked for other people. He is the best man to steer this company towards success. He is a very astute businessman and I’ve learnt a lot from him. I’ve gone from a bureaucrat to a businessman and Simbi has guided me in terms of what needs to be achieved. He is still highly involved and we have all learnt the intricacies of the business from him. He has created many networks and he is able to understand and visualise things in a unique way. He may not be an engineer but he certainly sounds like one—a result of his practical understanding—and this has always been an asset to the company,” Mnyani says. Khato Civils also believes in investing in the improvement of the livelihoods of the people surrounding its projects. Not only do they employ their core labour force from the communities surrounding their projects but they also analyse the needs of the communities and assist where they can. Khato Civils has spent more than R5 million on initiatives linked to its Giyani project, including renovating a school for the disabled and improving its sports grounds, as well as upgrading sports clubs, police stations and schools to ensure that learners are taught in a conducive environment. In Malawi, Khato Civils has renovated clinics, police stations and schools as part of its efforts to plough funds back into the communities where it is active. “We assist where possible. Our key focus is schools and we make a point to identify schools in need of repair or, in some cases, where schools need to be built. We believe that the children are our future. Therefore, when it comes to investments, education is always a priority. That said, we have also graded a road and we even upgraded the parking at a police station because we believe that we must invest back into those communities. It’s about cooperation and collaboration, and we strive to provide value for money, rather than just making a profit and running away. We make sure everyone benefits from our presence,” he enthuses. 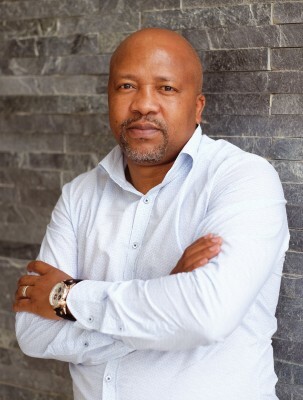 At Khato Holdings, Mnyani is responsible for developing and implementing sound business operations and strategies, and ensuring that the company grows its market share, both in South Africa and on rest of the continent. 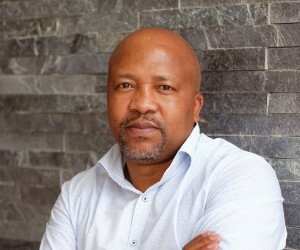 His appointment as CEO of Khato Holdings, which includes three subsidiaries, Khato Civils, Khato Equipment and Khato Materials, started on 1 April 2016, after 19 years of uninterrupted service in the government. During his time as a public servant, Mnyani worked for various government departments, including the Gauteng Provincial Government, where he was the head of the department for the local government and housing and was responsible for the overall management of the department. “Sometimes, you feel as though you’ve reached a ceiling and that you have provided your services, in my case, to infrastructure development, housing and other state entities. I have always had a passion for infrastructure development, so, I asked myself, ‘What can I do next’? I wanted to be challenged and I had my time dealing with politicians and communities—I didn’t want to be lost in that space anymore,” he explains. “I am a naturally versatile person and I understand how to interact with people across the spectrum. It’s up to me to make sure that we keep people employed and happy while increasing our book value and uplifting the economy. It’s a big job but I’m capable and I believe this is not a one-man show but rather, a team effort and, therefore, collaboration is essential,” he concludes.